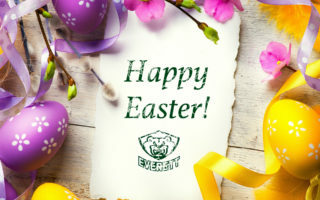 EVERETT – Only one day remains until the Silvertips drop the puck on our annual Holiday Inn Pre-Season Classic tournament, which features all five U.S. Division teams competing in six games over Labor Day weekend at Comcast Arena. 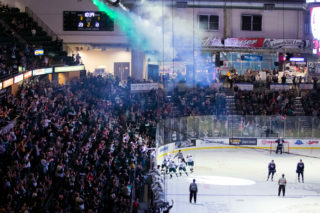 The Silvertips will take the ice Friday, Saturday and Sunday for their first games of the 2012 WHL Preseason. This year’s Holiday Inn Pre-Season Classic runs from Friday, August 31 to Sunday, September 2 at Comcast Arena. 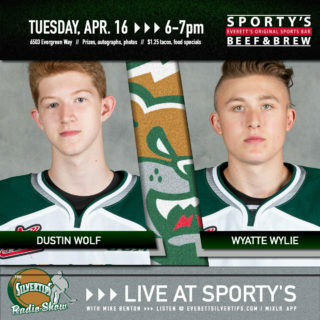 The Silvertips will be in action each day during the tournament, facing the Tri-City Americans Friday, the Spokane Chiefs Saturday and the Portland Winterhawks Sunday to round out the action. Two tournament games will be played each day between the five participating teams. Afternoon games in the tournament will pit Portland vs. Seattle on Friday, Tri-City vs. Portland on Saturday and Spokane vs. Seattle on Sunday. 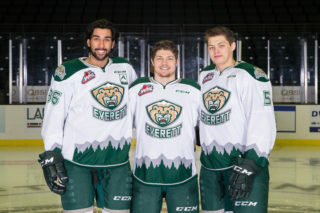 Preseason ticket packages for the entire tournament are on sale now and include the Silvertips’ final exhibition tuneup against Seattle on September 15 at Comcast Arena. Packages are availaable for just $60 at the Silvertips office for all seven of these games, which is a savings of more than $20 off the single-game ticket price! CLICK HERE or call 425-252-5100 for more information on preseason ticket packages. 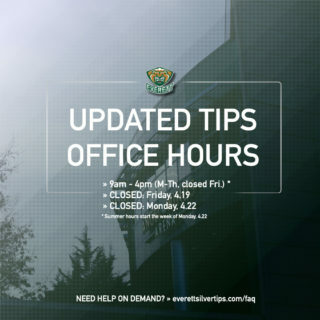 For single-game playoff tickets, CLICK HERE, call 866-332-8499 or stop by the main Comcast Arena Box Office.